This event begins with all six athletes on the starting mat. At the sound of the beep, they advance to the Worm to begin their clean and jerks. 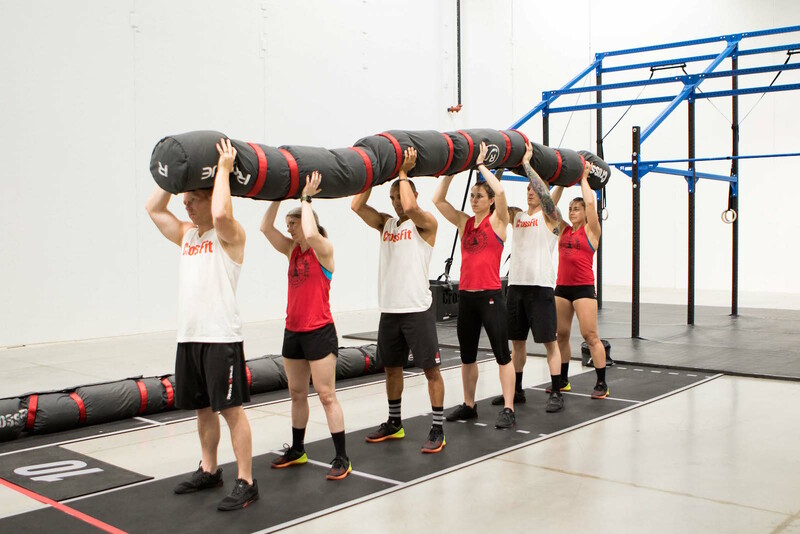 The team will advance the Worm after every 10 reps. Once the 50th rep is complete, the team will drop the Worm and advance to the finish mat. The minimum work requirement for this event is 10 reps.
Full video of Team Event 6 can be seen here. The Worm clean and jerk starts with the Worm on the ground and all six athletes standing on the same side. 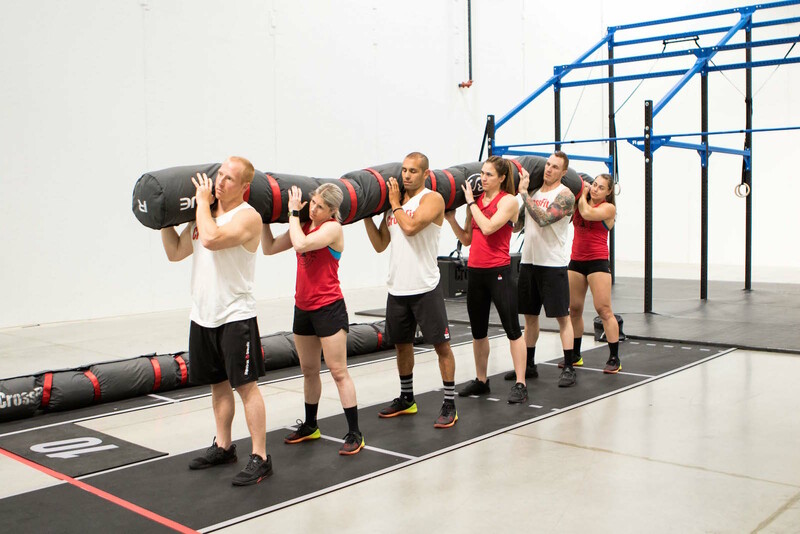 The Worm is then lifted to the athletes’ shoulders. The rep is complete when the Worm reaches the athletes’ opposite shoulders. The Worm must then be lowered back to the ground before the athletes begin the next rep. When advancing, all athletes must be on the same side of the Worm. Athletes may be in any order, but each section of the Worm does not weigh the same. From front to back, the sections weigh 80-65-75-60-70-55 lb., with 6-lb. filler bags between each section, for a total worm weight of 435 lb.